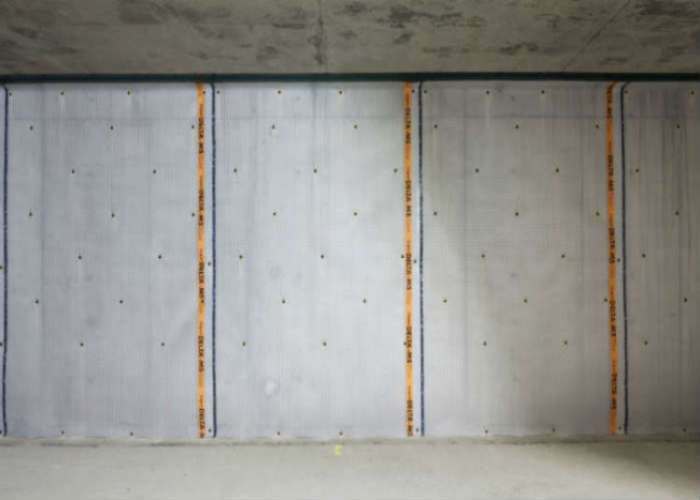 Structural waterproofing protects the structural integrity of a building, likewise damp proofing will also protect a structure. 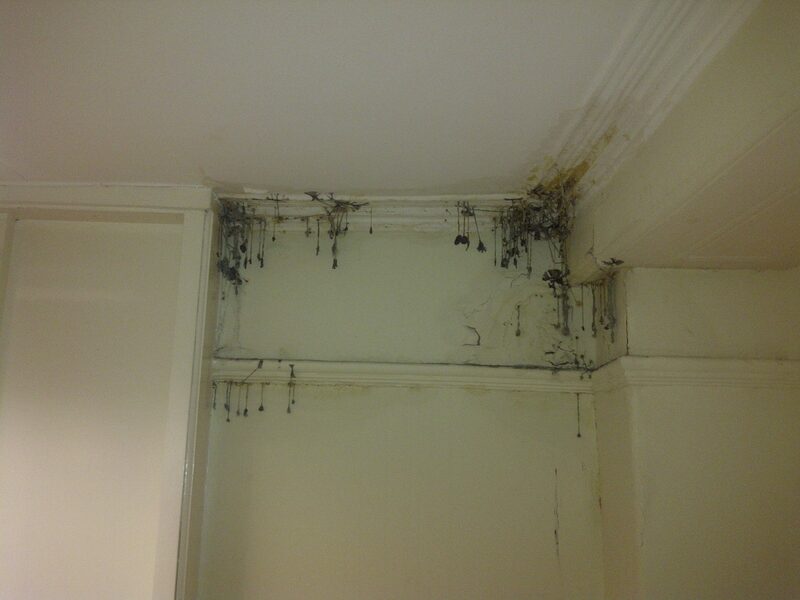 Dampness can be harmful to the integrity of a building. If not treated, water ingress can cause cracks in masonry along with extensive damage to bricks and mortar. Damp also changes the atmosphere of a structure. If a damp problem is not remedied, it may lead to more serious complications. Different types of dampness will require different treatments. Rising damp is a form of dampness that occurs when ground water rises-up through walls, floors and masonry via a capillary action (sometimes capillarity, capillary motion, capillary effect, or wicking) drawing moisture up though porous elements of a building’s fabric. When water rises within the wall it will allow ground salts which are in solution to rise up the wall through capillary action, these salts are typically nitrate and chloride salts which are hygroscopic and actually attract moisture from the air. Ammonium Sulphates are often found in chimneys as a result of the burning of fossil fuels, these slats are also hygroscopic and classically why damp patches are often exhibited on chimney breasts. Penetrating damp is moisture which penetrates laterally through the fabric of a building from the outside (typically because of leaking roofs, pipework, blocked or damaged guttering and cracks in walls. 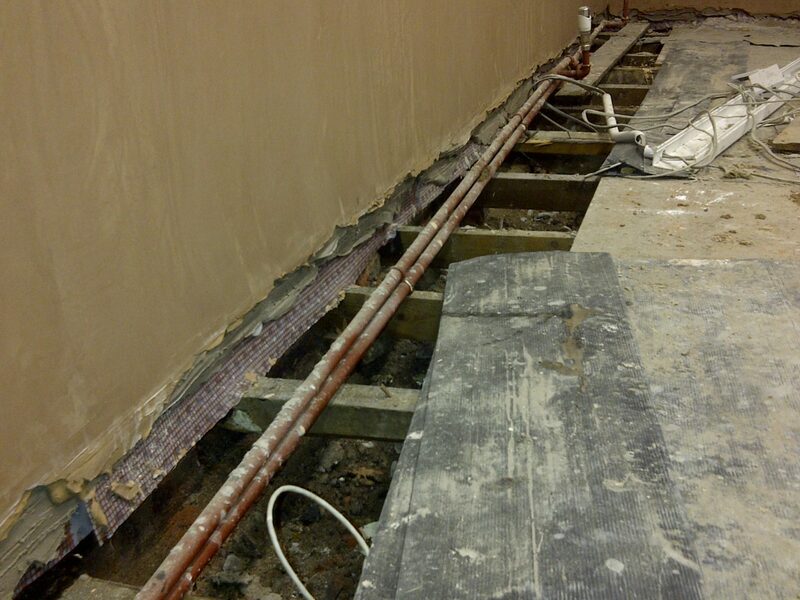 Penetrating damp is particularly common in older buildings and south-west facing walls. Dampness can be measured with electrical resistance meters or carbide meters, either on the surface or within the building fabric itself. A Calcium Carbide meter can be a very accurate diagnostic tool especially when profiling is carried out. 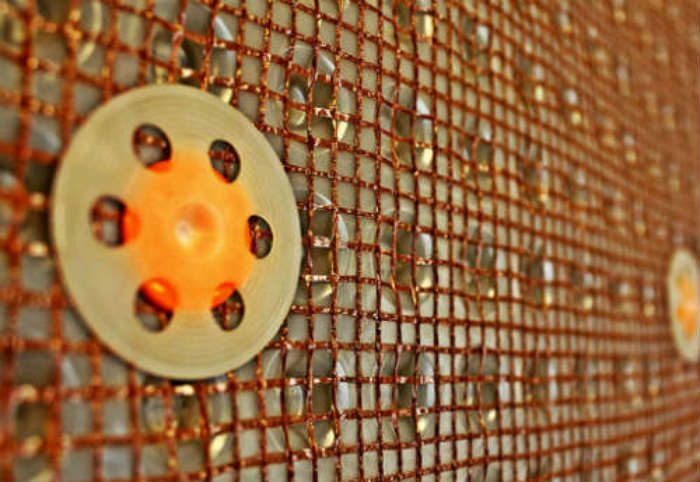 Damp proof membranes are made from High Density Polyethylene (HDPE) which is impervious to moisture and salts. 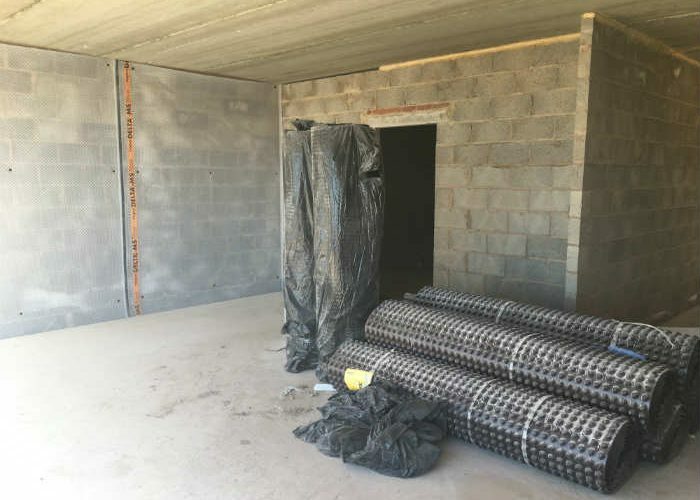 Typically a Damp-proof membrane or DPM is laid beneath the structural slab and provides a permanent barrier between the damp substrate and the structural slab. A damp-proof course is typically installed within a wall when rising dampness has been determined and in most cases this is achieved by drilling into the masonry and injecting the substrate with a material that lines the capillaries, some methods work on pore blocking. When a DPC has been installed it is important to note that this will not remove the slats that are now trapped in the wall. A chemical DPC solution penetrates deeply into the smallest of capillaries and pores in building materials. Due to its very low density and a surface tension lower than that of water, a chemical DPC displaces the water in the capillaries. The curing of the injected product is independent of the drying of the masonry. Chemical DPC’s are flexible and will not decay or decompose. 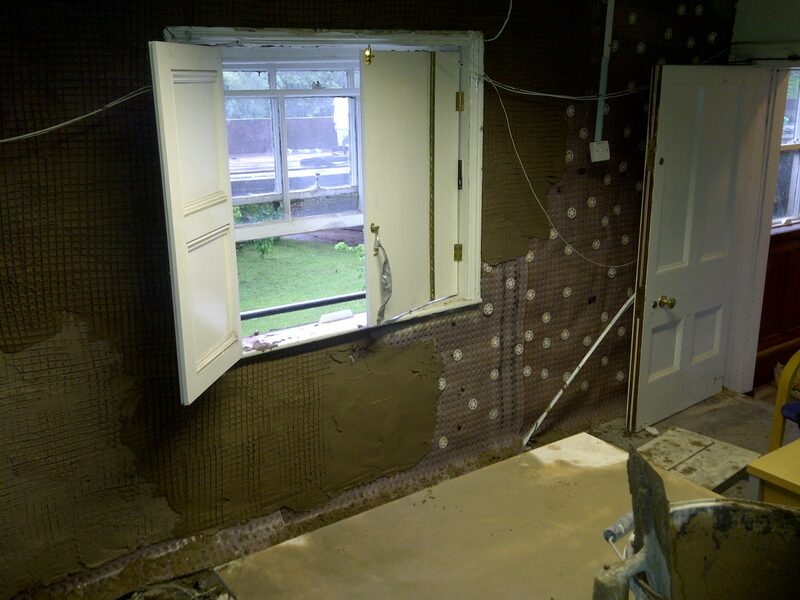 After the insertion of a DPC any existing plaster should be removed from the walls as it will be contaminated with salts, the new plaster is designed to prevent the salts trapped within the wall from coming to the surface. 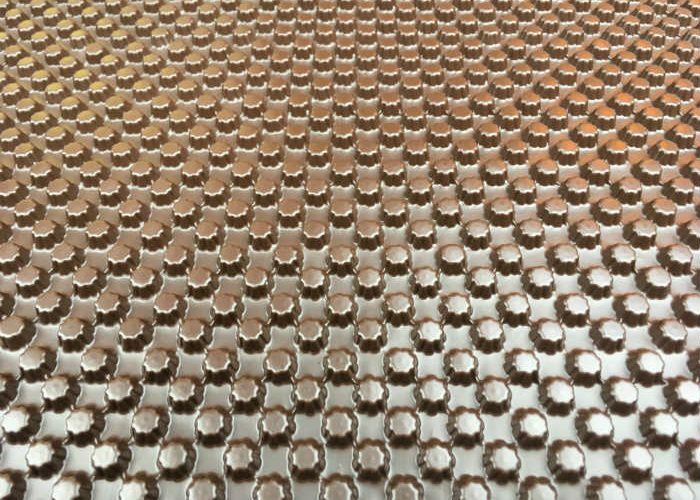 What is liquid applied Epoxy? 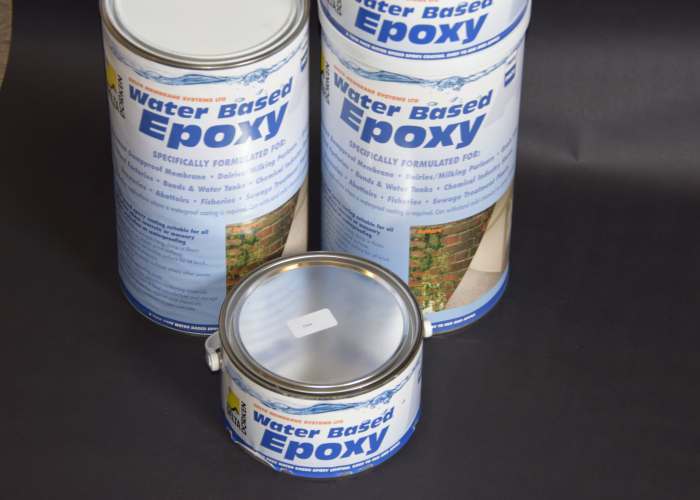 Water Based Epoxy Resin is suitable for all applications where concrete or masonry requires waterproofing and protection. It is applied in the same manner as ordinary emulsion paint with the added benefit of application in damp conditions. Once dried Water Based Epoxy leaves a tough, non-toxic, waterproof, easy to clean surface. Water based epoxy resin will coat over most other finishes, but best results are achieved when surfaces are free and clean of other coatings. Any greasy film should be removed prior to application to ensure a sound key. Voids, holes and gaps must be carefully filled. Most epoxy’s are either solvent or water based.